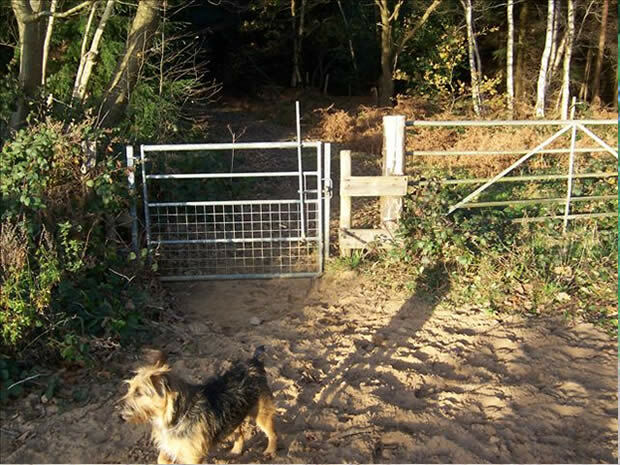 This is one of several unauthorisable gates on Broxhead Common. Despite many complaints over the years the problems persist. 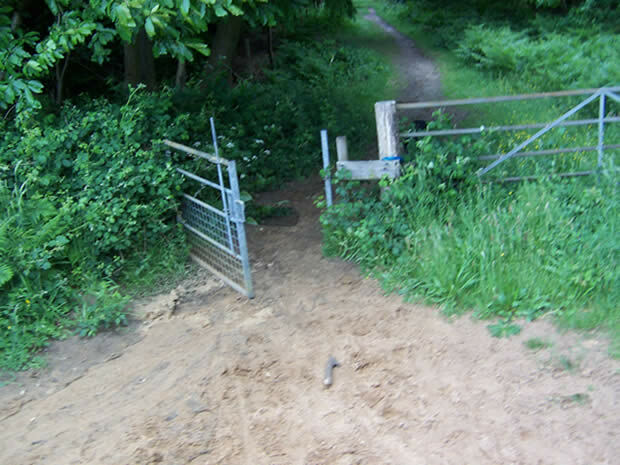 I have to turn back occasionally as there is no way around it. 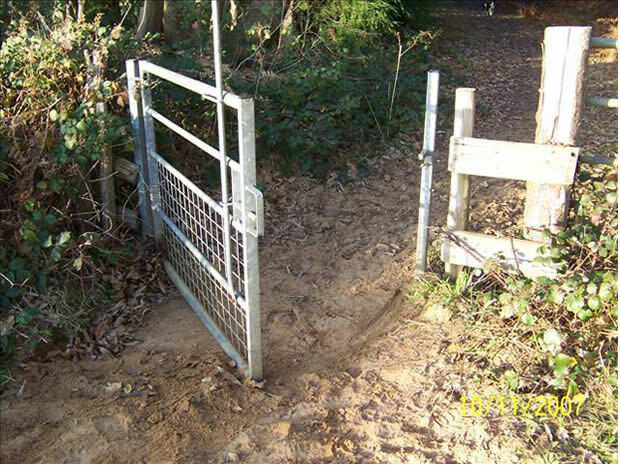 This gate was reported as having been put up without permission in 1982 by the Headley and District Bridleways Group. 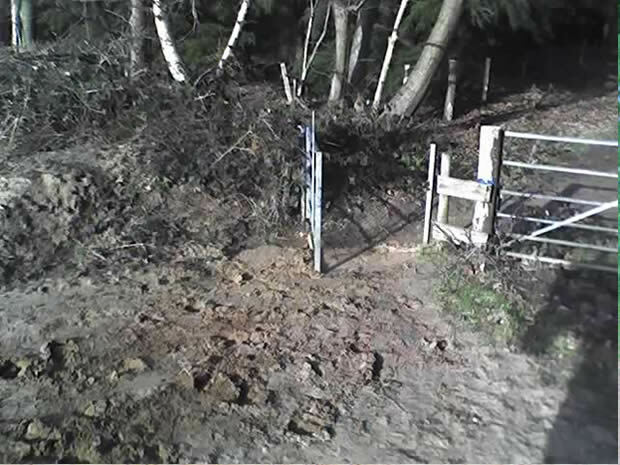 As you can see there has been no requirement by the LHA to remove it, on the contrary they have allowed even more to be installed. 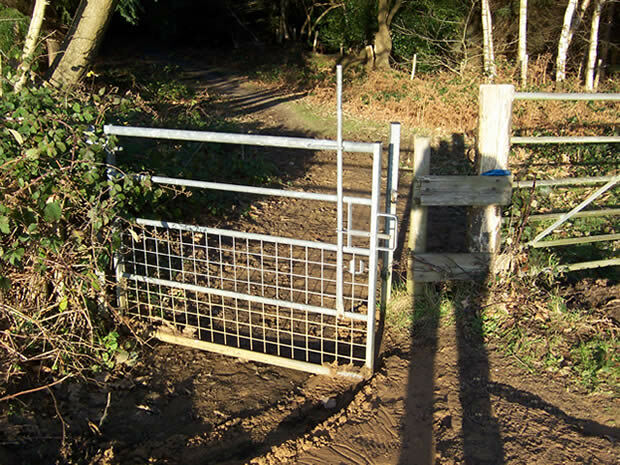 Do you have any photographs of bad, barmy or lunatic bridleway gates ?